Here is a double page template for scrapping a monthly review. 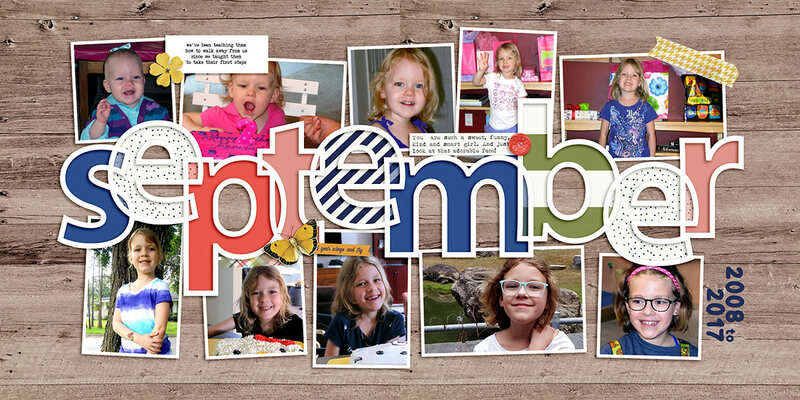 There is a large bold outline-style title and 10 scattered photo spots to document the highlights of your month. There are three journaling spots sprinkles among the photos.